When it was released in 2013, the original DJI Phantom was a remarkable drone, except for one big problem: you couldn’t see what the drone’s camera was seeing in real-time, meaning you were flying blind until you landed, unmounted the GoPro and uploaded its SD card to your computer. It was an awkward and clunky process that made for lots of missed photo opportunities and cumbersome fiddling of gear. When the DJI Phantom 2 Vision+ came out, aerial photography changed. When the camera is seamlessly integrated into the drone so it can be controlled and viewed in real time, photos not only get better, but new applications come about: spotting poachers over wildlife reserves, rescuing lost hikers or detecting where flames are in a burning building. Today, DJI is doing for thermal camera-toting, enterprise drones what it did for the DJI Phantom. The Chinese drone manufacturer on Tuesday released the Zenmuse XT2 thermal imaging camera created in partnership with thermal camera maker FLIR Systems. The Zenmuse XT2 improves upon the existing Zenmuse XT camera, which was an Infrared camera designed to be integrated with DJI’s line of drones, by including not just the infrared camera, but a dual sensor to show a traditional 4K video feed in real-time as well. The camera is intended to be used for drone operators who need to capture heat signatures invisible to the naked eye. 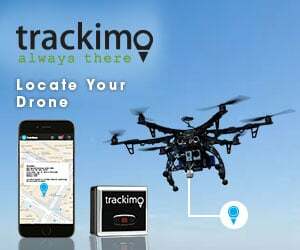 It offers gimbal-stabilized video and, since it is integrated with DJI’s existing features, allows the user to operate under DJI’s existing flight modes like QuickTrack, which centers the camera on the selected area. A new feature called HeatTrack automatically tracks the hottest object in view. That could be useful in applications such as search and rescue, where the drone can hone in on a missing person. A screenshot of the app shows how operators can see both thermal and visual images. A dual-sensor camera designed for aerial use is not a completely new concept. FLIR had previously been selling its FLIR Duo camera for drones, which also combines the thermal camera with the traditional light camera. That camera, which sells for $999, is similar in size to a GoPro, and could mount on any drone that had a GoPro mount (such as the DJI Phantom 2 or 3D Robotics Solo). The big problem though was that it wasn’t integrated into the DJI app. Much like the original DJI Phantom experience of fumbling with a GoPro to look at video after the fact, this is a similar experience. A spokesperson for FLIR told The Drone Girl that it is possible the new Zenmuse XT2 could cannibalize its existing FLIR Duo camera, adding that it’s not much of a concern because it is a sale for FLIR either way. And that cannibalization is entirely possible, given that DJI claims more than an estimated 70% market share of the drone industry. An easily integrated duo-thermal and visual camera could propel those numbers even higher. The DJI Zenmuse XT2 has a 12-megapixel visual camera and is available in two thermal sensor resolutions of 640 x 512 or 336 x 256, with 9mm, 13mm, 19mm and 25mm lenses. The Zenmuse XT2 is compatible with DJI’s Matric 200 Series and Matrice 600 Pro enterprise drones, and will be available first for the DJI Pilot mobile app for Android, and on the iOS app at the end of April. DJI on Tuesday also released its new Payload Software Development Kit, intended to allow drone startups and other developers or device manufacturers to integrate custom cameras, sensors or other payloads onto DJI’s drones. That SDK could allow non-DJI cameras or other payloads to be mounted and integrated directly onto the DJI Matrice 200 line of drones. That’s made possible due to the newly announced DJI Skyport, which is a gimbal port adapter that will allow the payload to integrate with DJI drones, connecting to the drone’s power supply and removing the need for that payload to have its own cables and batteries.